Writing a college textbook proposal is a vital step in getting a textbook published. A college textbook proposal—like any book proposal—should be thought of as a sales tool. The author uses the proposal to sell the idea of the book to a college textbook editor or academic publisher. Before giving a contract to a professor to write a college textbook, the publisher wants to know that the author knows his or her subject matter, thoroughly understands the market for the textbook and will be able to deliver the finished goods. The textbook proposal is the vehicle for that information, to assure the idea of the book is sound, that it has the potential to find a profitable place in the academic book marketplace. In addition, writing the proposal can help the prospective author develop and fully flesh out his or her book idea. A well-thought-out proposal will make writing the book much easier, since many issues—like the order of information, the flow of the chapters, the art program, the ancillaries—will have been ironed out in the proposal development process. While academic publishing houses might vary slightly in their requirements, all college textbook proposals require a fairly standardized set of elements. A succinct but compelling overview of the proposed book's contents; the market need for the book and the competition; and the author's qualifications to write the book. An in-depth idea of the content in the form of a synopsis, an annotated table of contents, and one or more sample chapters which demonstrate the approach as well as the coverage of the topic. A summary of the ancillaries that you envision making available with the text. A "curriculum vitae" (CV), resume, or bio that details the author's full background and qualifications for writing the college textbook. Like any business proposal, college textbook proposals are evaluated on the basis of whether or not the "proposition" (in this case, the book) is likely to be profitable for the publisher. In the case of textbooks, the considerations for profitability include: how large is the student adoption market for the book? Basic courses, like English 101 aka Freshman Composition, will have larger adoption potential than smaller, niche courses. Will the value proposition of the proposed textbook be robust and unique enough to penetrate its particular market? For example, will a science-related text include the latest data theories? Is the pedagogy different than what's in the market? Are the ancillaries distinctive and truly useful to professors and students? What makes your book stand out? As in most publishing environments, a textbook editor (sometimes called a "commissioning editor," who is usually an expert in his or her subject matter) determines whether or not a proposed idea should be contracted and developed into a book. Of course, the editor and team will look at quality as well as the factors mentioned (content, market potential, etc.). In addition, each publishing house has their own business strategy, so the top-line editorial evaluation will include an assessment of whether the book is right for them; that is, whether the finished book would fit into their existing portfolio of college textbooks. For example, an editor might specifically be looking for a text that fills a gap in their list. Once the editor has determined that the proposal is worthy of further consideration, it will generally go on to be evaluated by a wider team of academicians, outside of the publishing organization. 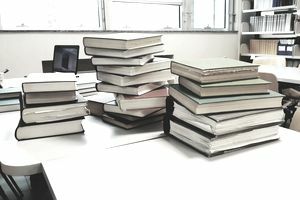 Because the decision-makers in the college textbook sale are professors and their departments, academic publishing houses rely not only on their editors but on a host of academicians to independently evaluate the proposal. These evaluators write reports assessing a number of factors about the book. Once the proposal is deemed worthy of pursuing, the editor will supplement the proposal with a comprehensive publishing plan, that includes such information as schedules, projected profit and loss metrics, etc., and present the plan to an editorial board. The editorial board generally makes the final determination on the fate of the textbook proposal.